The following is intended to complement Ian Hollingsworth’s article about the Harwood and Bullamore fishing family history by setting details of another ‘strand’ of the family. Mr Hollingsworth’s narrative begins with Mathew Bullamore’s move from his native Trimingham in Norfolk to Scarborough in approximately 1852, followed by his brothers. 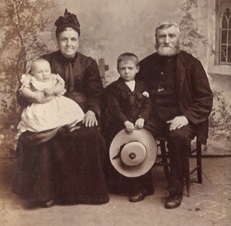 At about the same time, William Bullamore – a first cousin to Mathew and my great grandfather – also left Trimingham, where he had been born on 14th June 1834 and moved to Scarborough. A fisherman by trade – according to family sources he had spent a month in Norwich gaol for smuggling as a youngster – William married Scarborough-born Mary Ann Hodgson on 1st December 1858 at St. Thomas’ Church in Scarborough. The Rev William Keys officiated. Although Mathew lived at 9 Tut Hill in 1861, by the time of the 1871 census he had moved and William and Mary Ann had taken up residence there. William remained at 9 Tut Hill up to his death there on 21st May 1916 (aged 81) and Mary Ann continued to reside there until she died there on 8th January 1925 at the age of 87. 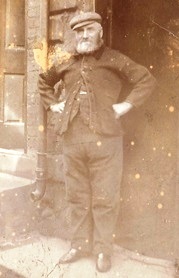 William worked as a fisherman during most of his life in Scarborough and when the 1881 census was taken, he and his elder son John – also a fisherman - were amongst the six-man crew of the ‘Melura’ which was in port in Newcastle-upon-Tyne. By 1901, William had retired and had become verger at St Thomas’ Church – where he and Mary Ann had married over 40 years before. He retired from that position in 1910, at which time the rev. C H Clissold presented him with a copy of Farrar’s ‘Life of Christ’; this has been passed down to me. William and Mary Ann’s daughter married John Edward Wharton and they had one son, John (Jackie) William Wharton. Jackie Wharton was born in 1898 and joined the Royal Navy on 5 February 1915, serving on HMS Theseus in the Dardenelles. He was also on the minesweeper HMS Myrtle when it was mined (together with HMS Gentian) in the Baltic on 16th July 1919. The ships were part of a large squadron which was in the area in order to sustain the newly-created state of Estonia in the face of attacks from Bolshevik Russia. Jackie gave an account of the gallantry involved to the Scarborough Gazette a month later. Unfortunately, Jackie died of TB while being nursed at his grandmother’s 9 Tut Hill home on 23rd July 1923. 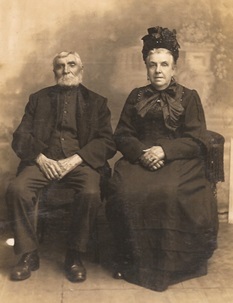 William and Mary Ann’s younger son, James (my grandfather) married Elizabeth Ainsley (of Newcastle-upon-Tyne) at St. Thomas’ Church on 22nd March 1902. They moved to Lowestoft where James Bullamore (described in the 1891 census and on his marriage certificate as a fish curer) became a well-known fishbuyer – operating at the major east coast ports – until his death in 1936. 1 - William and Mary Ann Bullamore. 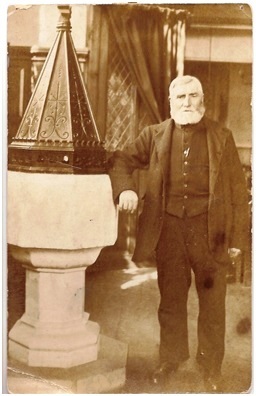 2 - William Bullamore is pictured in St. Thomas’ Church, Scarborough, where he was verger. 3 - Mary Ann and William Bullamore show off their two grandsons, James Bullamore (my father) (the baby, left) and Jackie Wharton. 4 - William stands outside 9 Tut Hill. Above - James Bullamore who was born at 9 Tut Hill and went on to be a fish buyer, living at Lowestoft. He was my grandfather.